Doctors and nurses are using Pitocin to induce labor more than they ever have. Pitocin is an intravenous medication used to start or increase uterine contractions. Excessive doses of Pitocin can hyperstimulate the uterus and cause injury to the fetus. Women are sold on the idea that Pitocin is safe because it is similar to oxytocin, which is a natural hormone that produces the same effect. The reality is that Pitocin is very different from oxytocin in very important ways. Birth injury medical malpractice cases involving Pitocin often involve excessive uterine activity, cord compression, and uteroplacental insufficiency. All of these conditions can cause a lack of oxygen to the fetus' vital organs that may result in severe and permanent injury. There is a great deal of medical literature confirming that the effects of prolonged periods of excessive uterine activity caused by unfettered used of Pitocin can cause the fetus to have a permanent neurological injury from lack of oxygen. The standard of care applicable to the obstetricians and the nurses is that Pitocin must be conservatively administered. They are instructed to follow strict guidelines for using and increasing Pitocin, for monitoring uterine activity and fetal response, for communication with the physician, and for decreasing or discontinuing Pitocin when the circumstances warrant. Where doctors fail to consider these risks and use excessive Pitocin in spite of abnormal fetal heart rate, the child is often irreparably damaged. This often leads to an obstetrical malpractice lawsuit. The OB and the nurses monitor accelerations and decelerations in the baby's heart rate during labor. A deceleration is a decrease in the child's heart rate that falls below the fetal baseline heart rate. The baseline fetal heart rate is calculated by looking at the heart rate during a ten minute period rounded to the nearest five beats per minute increment. There are three basic types of decelerations: early decelerations, late decelerations, and variable decelerations. The type of decelerations is identified by looking at its onset to peak in relation to the mother's contractions. Different decelerations mean different things. Most Pitocin related birth injury cases involve variable and late decelerations. When the fetal monitor shows late decelerations, it is an often a sign that the baby is in distress because the contractions are preventing oxygen from adequately transferring between the uterus and placenta. Similarly, variable decelerations mean excessive contractions are causing recurring umbilical cord compression resulting in a lack of oxygen. If you give Pitocin and do not properly monitor the contractions and the fetal heart rate, you are creating a recipe for a potential tragedy. Often, the worst thing for that child is more Pitocin because continued use of Pitocin promotes hyperstimulation of the uterus during periods of fetal distress. This hyperstimulation is dangerous because uterine contractions under these circumstances increase the likelihood of fetal injury because the baby may have trouble breathing in between contractions. When confronted with recurring variable and/or late decelerations, the delivery team has to suspect that the contractions are potentially causing a lack of oxygen to the baby. The baby is telling the delivery team that there is a problem. Doctors and nurses often fail to heed baby's warning and discontinue Pitocin, causing the baby oxygen deprivation that leads to organ failure, including brain injuries. Most hospitals have protocols that limit the use of this drug when the mother is dilating, having strong contractions, or the baby has recurrent variable and/or late decelerations. Often, the nurses and the doctors are following a flawed hospital Pitocin protocol that fails to adequately safeguard against the risks of getting more Pitocin than is safe for the baby. Pitocin increases the risk of excessive uterine activity, precipitous delivery, decreased fetal oxygenation, and a hypoxic-ischemic brain insult that changes the baby's life forever. The standard of care requires that the hospital protocol mandate continuous and adequate monitoring of contraction frequency, duration and strength or assessment and evaluation of uterine resting tone. If the protocol fails to describe excessive uterine activity and to direct the nurses to appropriate nursing intervention for excessive uterine activity, including decreasing or discontinuing Pitocin, then the hospital should be held responsible for any harm to the baby. If the hospital does have protocols that are ignored by the doctors and nurses, does that mean the doctors will admit responsibility? No. We have seen cases where the protocol required discontinuation of the Pitocin and the nurses doubled the dosage. The doctors will still able to find medical experts to defend doubling Pitocin when the fetus was having late decelerations. The doctors, nurses, and hospitals fight all of these cases tooth and nail. They are always a battle and you need to best lawyers fighting for you to achieve justice. If your child has suffered a birth injury as the result of excessive Pitocin or other mistakes during childbirth, our firm has the experience and resources to help you both get the compensation you deserve. We are based in Maryland and most of our cases are here. But we handle serious injury and death cases all over the country. Call Miller & Zois today and speak to a birth injury medical malpractice attorney at 800-553-8082 or get an online case evaluation. 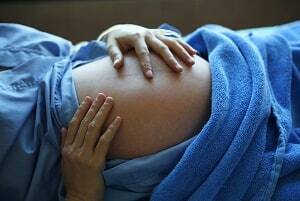 What to expect in birth injury cases in Maryland?